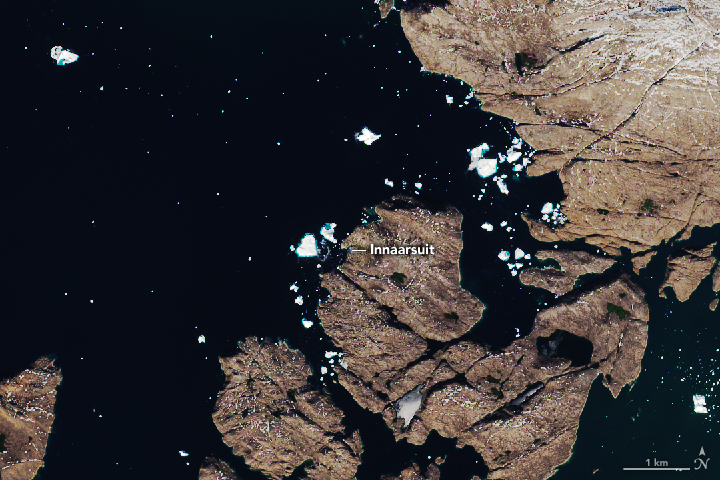 In July 2018, an iceberg weighing more than 10 million tons parked itself just offshore of Innaarsuit, a small island village in northwestern Greenland. 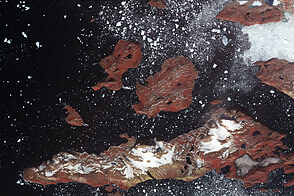 Ground-based photographs and videos showed the massive chunk of ice as it loomed over the small village. 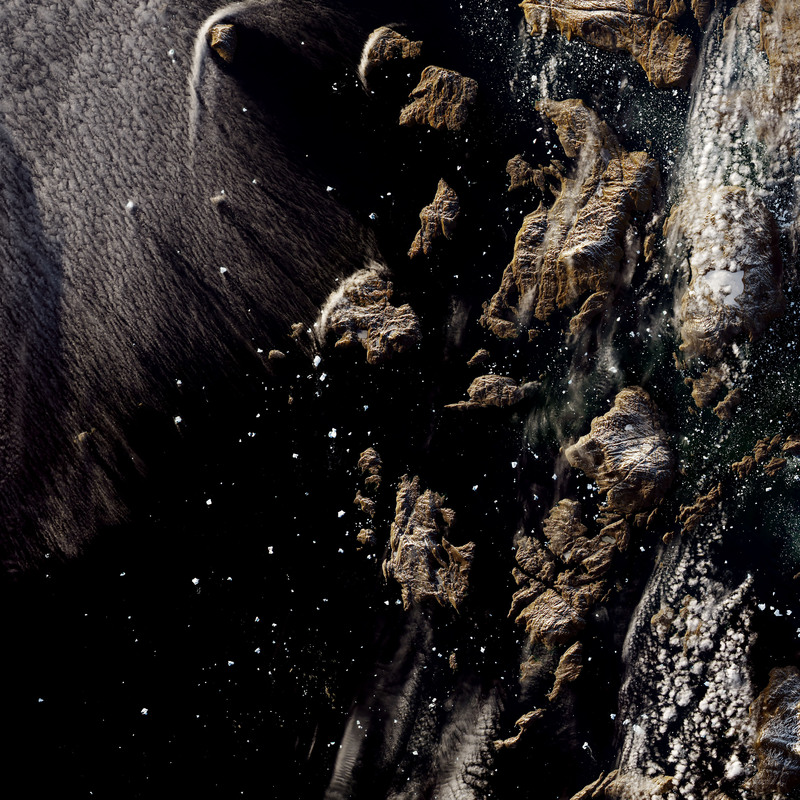 “The photos were absolutely beautiful,” said Kelly Brunt, a glaciologist at NASA’s Goddard Space Flight Center. 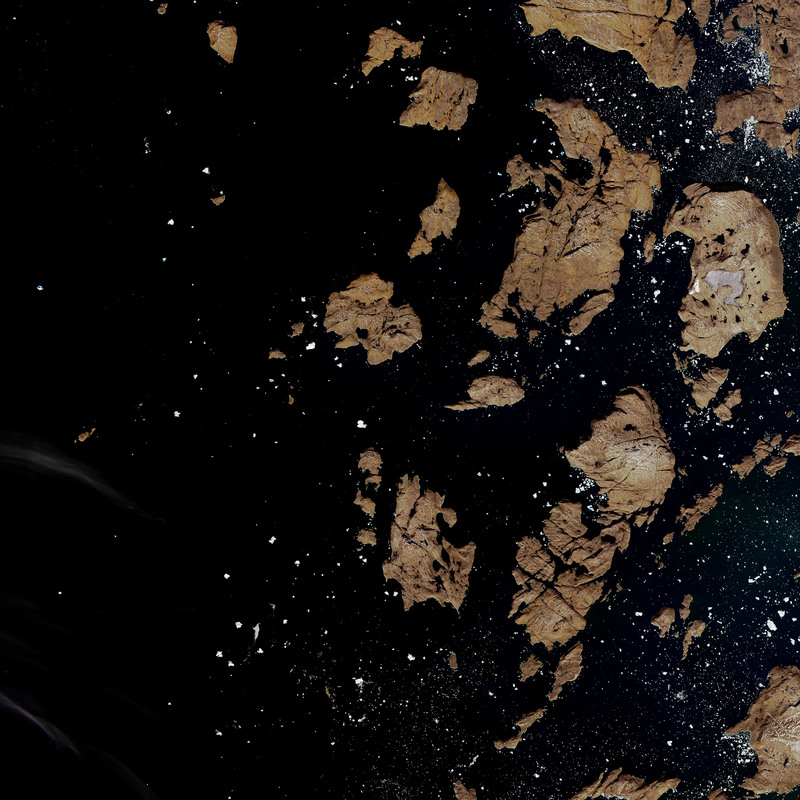 “The Z dimension (height) is pretty extreme.” Various news media reported that the berg stood 300 feet (90 meters) above the water line—about as tall as the Statue of Liberty. 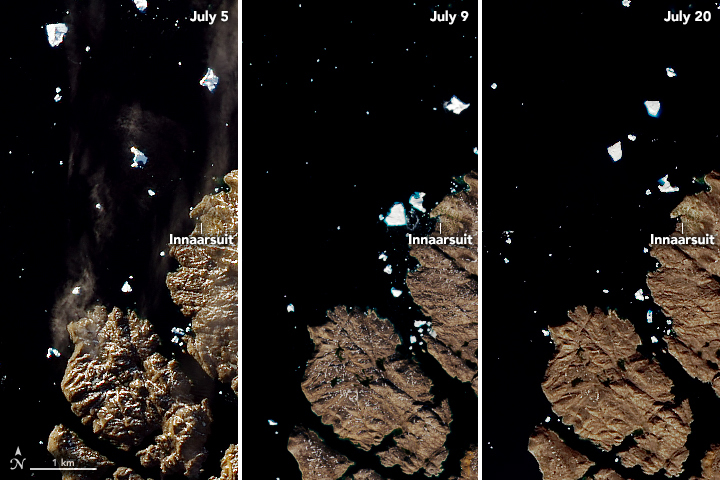 When viewed from space, the iceberg is like a “Where’s Waldo?” puzzle, becoming lost in a sea of similar looking bergs (second image above). 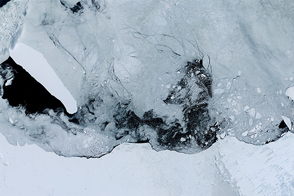 On July 5, 2018, the Operational Land Imager (OLI) on Landsat 8 acquired a natural-color image (below) of the ice in the area. 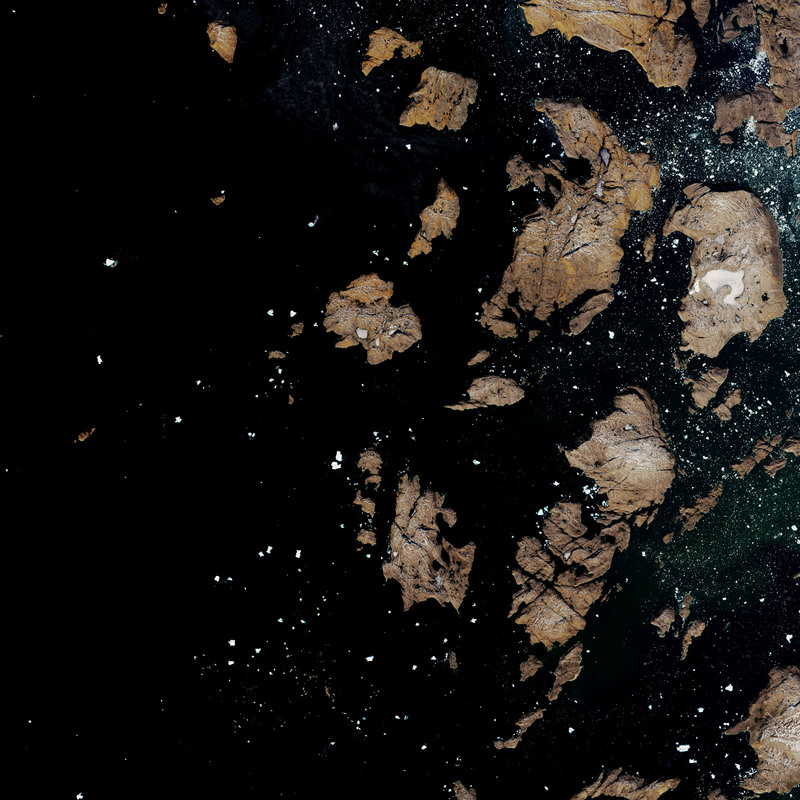 On July 9, the Multispectal Imager on the European Space Agency’s Sentinel-2A satellite observed several large bergs (below) just offshore from Innaarsuit. 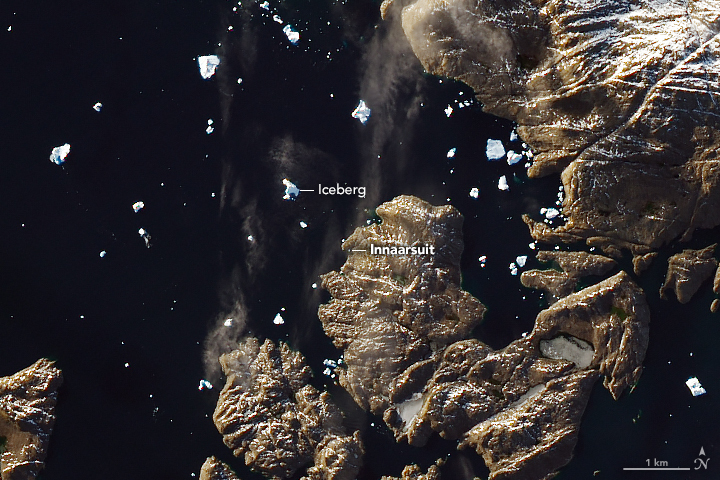 Then on July 20, Landsat 8 acquired another view (top of this page) after the icebergs appeared to drift north again, away from the village. According to video footage and news accounts, a small chunk broke off the berg and sent waves rippling through the harbor on July 12. In subsequent days, some of the town’s 170 residents were evacuated from low-lying areas due to fears of a larger breakup and tsunami-like wave. 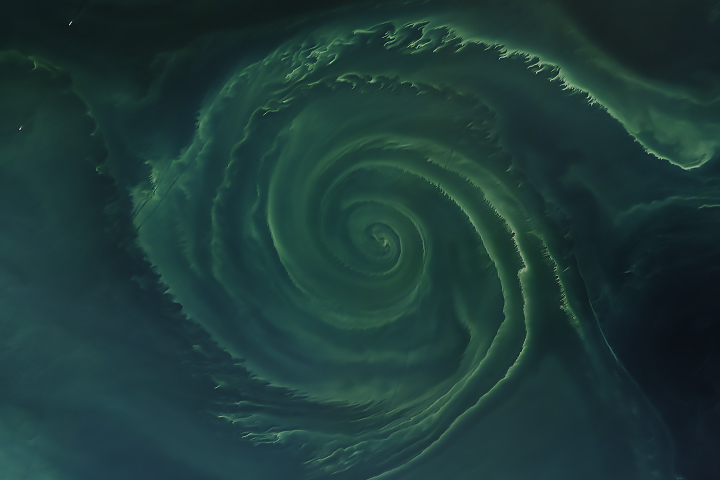 NASA Earth Observatory image by Joshua Stevens, using Landsat data from the U.S. Geological Survey and modified Copernicus Sentinel data (2018) processed by the European Space Agency. Story by Kathryn Hansen and Mike Carlowicz. 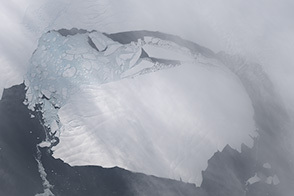 European Space Agency (2018, July 17) Looming Iceberg. Accessed July 23, 2018. 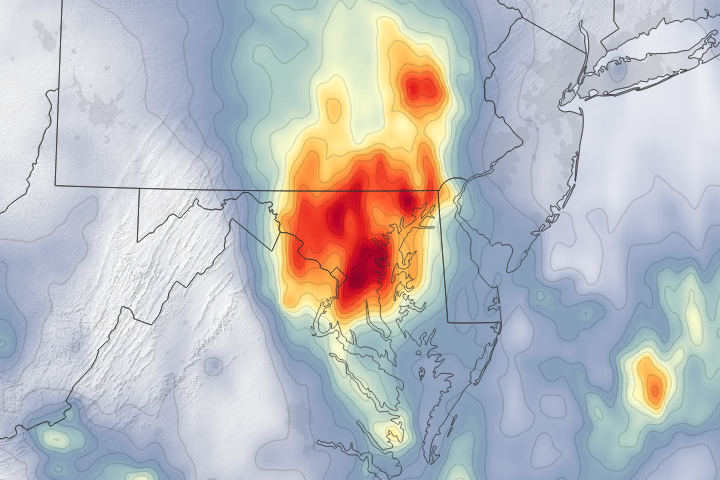 The Inertia (2018, July 20) Residents Evacuated as Enormous Iceberg Threatens Tiny Greenland Village. Accessed July 23, 2018. 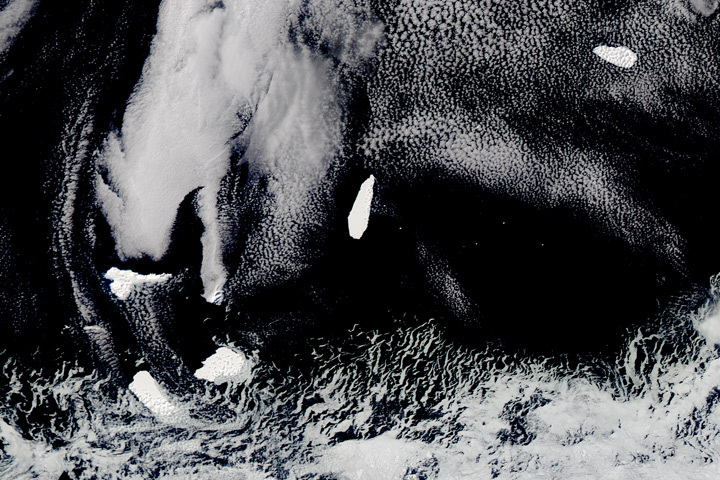 The New Yorker (2018, July 20) Climate Change and the Giant Iceberg off Greenland’s Shore. Accessed July 23, 2018. 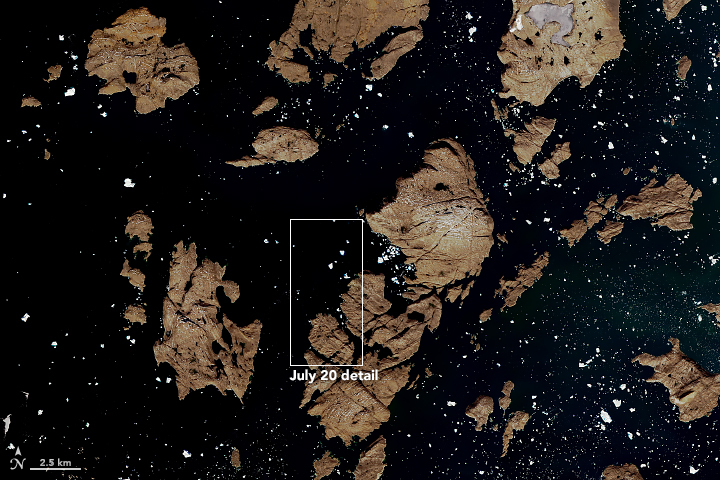 The Washington Post (2018, July 14) An 11-million-ton iceberg is threatening a tiny village in Greenland. Accessed July 23, 2018.